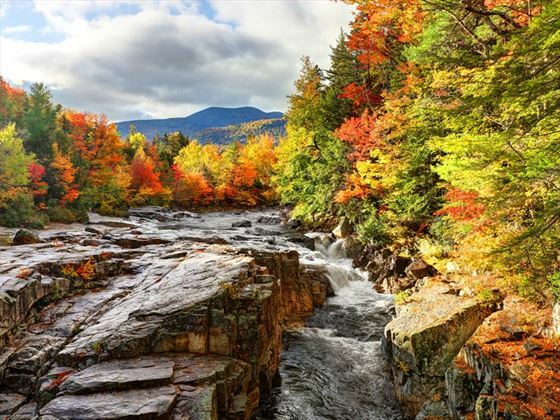 You can pack all of the highlights of New England into just a week on this self-drive tour. 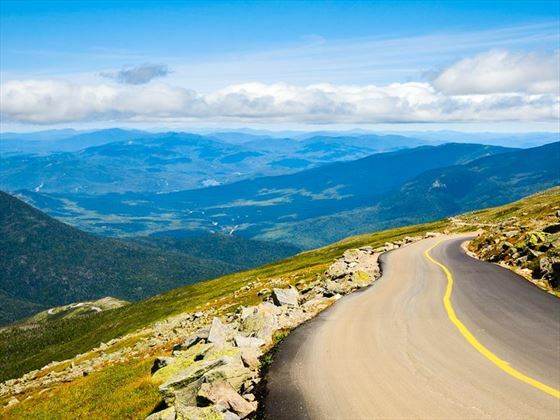 You'll start with a couple of nights in Boston and then drive north to beautiful mid coast Maine, before heading in land to experience the spectacular mountain scenery of New Hampshire and Vermont. 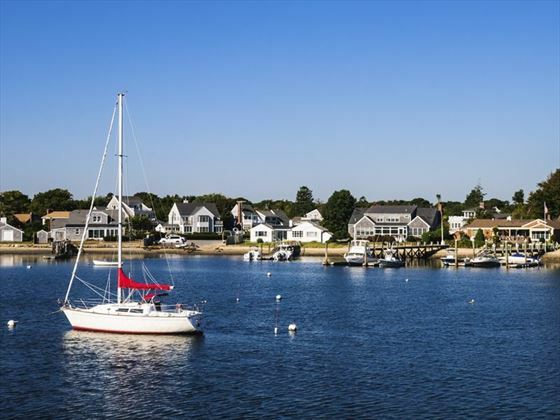 Then head south into Connecticut before ending your tour on the wonderful Cape Cod peninsula. Arrive at Logan International Airport. Pick up your rental car and proceed to your hotel where you will be staying for two nights. The day is free to explore Boston where the Revolutionary Era comes to life along the Freedom Trail walking route. Enjoy strolling the pleasant streets and browsing quaint boutiques. 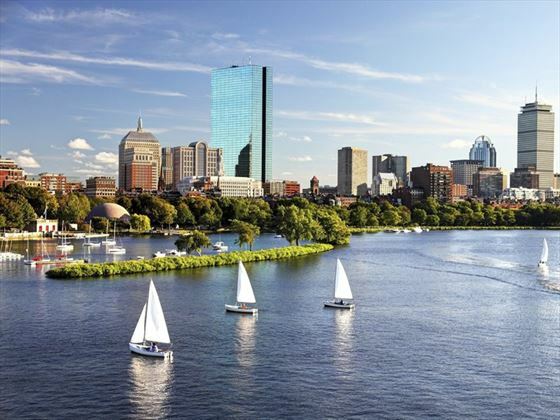 Along the route north of Boston lies almost four centuries of history, as well as some of the coast’s finest beaches and seascapes. First stop is Salem, the location of the infamous witch trials. Then drive along the coast to the charming harbour towns of Gloucester and Rockport. Enjoy the old-time seaport atmosphere of Portsmouth, New Hampshire and its wealth of historic buildings before crossing into Maine. Pass through Kennebunkport, summer home to Presidents, and enjoy exploring Portland, Maine’s largest city. 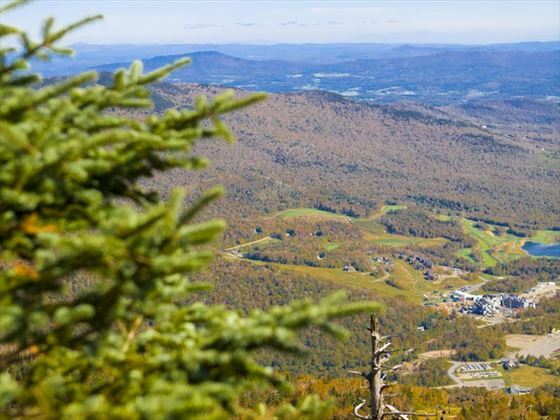 Today, traverse the White and Green Mountain ranges that divide the New England states of New Hampshire and Vermont. The mountains are home to bears, moose, wild turkey, and deer. 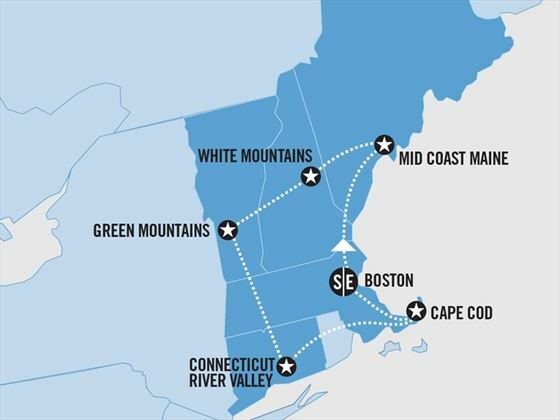 The route takes you through some of New England’s most beautiful scenery. Drive by Lyndonville and see Willey’s General Store in Greensboro before continuing through to Stowe. 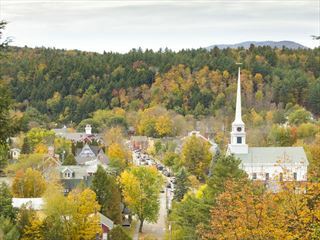 See picture-perfect villages and some of Vermont’s famous covered bridges. In 1614, the first Europeans entered the Connecticut River estuary and by the 1630s, fur trading posts extended into Massachusetts. In the following century, English colonists moved farther and farther up river into Vermont and New Hampshire. Today, step into Old Sturbridge Village and find yourself transported back in time. In historic households and shops, at water-powered mills and on working farms, explore the everyday tasks and seasonal celebrations of early 19th-century New England. Journey southward towards the Massachusetts coast. Many of America’s most prominent families – from the Astors to the Vanderbilts – have summered in Newport. Continue along the coast on your way to the Cape. Explore magnificent Cape Cod with its high cliffs, rolling dunes, broad beaches, miles of walking trails, picturesque villages and delicious seafood. This peninsula is a beloved vacation spot for visitors and natives alike. Stop in Plymouth, a living panorama of Pilgrim and Colonial times and see the Mayflower II. Daily direct flights available from Heathrow with Virgin Atlantic and British Airways. Regional connecting flights also available.